What other neighborhood within the city limits of Hickory has 12+ acres of common area that run along the Henry River? This is it! 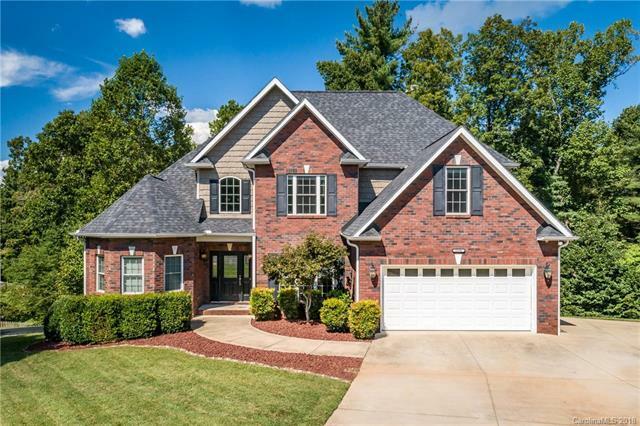 This 5 Bedroom (AND a bonus room), 4 full bath home is located in Old River Falls with easy access to Hwy 321 and 40 and award winning schools! The attention to detail in this home is impressive. From a romantic lighted tray ceiling in the master bedroom to surround sound throughout the entire house, this home is for the buyer who wants quality construction and flare. Large master suite is located on the main level. Kitchen is ready for a cook that needs plenty of counter and cabinet space to create home cooked meals. Also on the main level is an additional bedroom with access to a full bath. The walkout basement is an entertainer's dream. With plenty of space to spread out and enjoy movie night or watch the big game in your very own media room. Two bedrooms, a full bath AND a bonus room await you upstairs.